Offers are constantly changing for different cards at different banks, so I thought it would be a good idea to go over what I think is the current best offer at each of the major banks and why. Today I’ll look at the offerings from Chase, Amex, Bank of America, Citi, US Bank and Barclay’s. We’ll start with one of the easier choices for me. While the Virgin Atlantic 90K offer looks good on the surface, it requires a ton of spend and that program often has high fuel surcharges. For me, the Alaska airlines card provides the most valuable overall bonus because of their partners and generous award program. 25K miles doesn’t look like that much, but you also receive a $100 statement credit that more than offsets the $75 annual fee. The real value of Alaska’s program comes with booking premium cabins on their partners such as Emirates and Cathay Pacific. You can also generally get this card multiple times which makes it easy to stack up the miles. Oh Barclay’s. I used to love you and now there simply isn’t much to love. The Wyndham card is decent and provides what amounts to 3 free nights, however really good properties are few and far between. I also think the Miles & More 50K offer has some potential, but there are too many pitfalls with that program. At this point I still think the Arrival Plus is the best offer. The Offer: 40K miles after $3K spend in 3 months. $89 annual fee is waived the first year. I rather publicly broke up with my Arrival Plus card earlier this year after they made some very negative changes. Yes, the card isn’t what it once was, but the sign-up bonus is still worth ~$420 worth of free travel. The Arrival Plus also has chip & pin for those pesky kiosks in Europe, so that may earn it a spot in your wallet while traveling internationally. As I mentioned in my breakup post, I do love the sign-up bonus on this card, but with all of the changes I am not sure it is something to keep long term. It just doesn’t offer enough benefit to justify the high annual fee. Either way, we are talking about sign-up offers and this is still Barclay’s best in my opinion. Just make sure to think long and hard if it is worth keeping after the year. Citi has gone crazy this year with amazing offers on a ton of cards, especially ones that earn ThankYou points. We have seen 50K offers on the Premier and Prestige cards for awhile and they even introduced the AT&T Access More card which gives a free phone and earns 3X ThankYou points on online purchases. While it was a tough decision, I do think the Premier wins. The Offer: 50K ThankYou points after $3K spend in 3 months. 95 annual fee waived the first year. There were a brief couple of days about a month ago where you could get this card with a 60K bonus. I really don’t expect that to surface again soon since Citi was adamant that it was a mistake. Either way, 50K ThankYou points can still be incredibly valuable and this card is one of the best earners as well. For everyday purchases you will earn 3X on travel and 2X on dining and entertainment. Sure beats the Sapphire Preferred. This card also opens up points transfers to Citi’s 13 partners and gives you the ability to redeem ThankYou points for airfare at 1.25 cents each. While the Prestige card is fantastic in its own right, I think the Premier edges it out as being a more mainstream card due to the lower (waived first year) annual fee! Picking the best American Express offer is tough since they have had so many good ones. With the recent end of the increased SPG card bonuses and no current public ways to get 100K from the Platinum or 75K from the Gold, the decision was a little easier though. My pick for the best Amex card offer at this moment is the Everyday card. The Offer: 25K Membership Rewards points after $2K spend in 3 months. No annual fee. This is a great card for a couple of reasons. First off, it has no annual fee and lets you keep your Membership Rewards points alive. In fact it is the only no annual fee card across all bank programs that allows transfers to partners. Aside from that, it gives 2X at supermarkets and you can earn a 20% bonus with 20 or more transactions. If you asked this question a few months ago, the Club Carlson card would have easily been the winner. Nowadays I think the Flexperks cards are worthy contenders, however that program is too complicated for the average person and it requires finding perfect airfares to maximize value. Overall, despite the changes I still think Club Carlson reigns supreme. The Offer: 50K point after first purchase + 35K points after $2.5K spend in 3 months. $75 annual fee is not waived. Even despite all of the changes, this card still has the best potential sign-up bonus. 85,000 points are enough for a ton of free nights at lower category properties and that is where you should focus. On the high-end there isn’t a lot of value, but getting free nights for 9K or 15K allows you to stretch this bonus out. I recently downgraded my card and will probably cancel it eventually, but if I was looking to get a card from US Bank for the first time, this one would be it. This bonus is worth at least $300-$400 or so but could be stretched much further. Chase is probably the most popular bank, so I figured they should go last. Since they recently have cracked down on churners applying for Ultimate Rewards earning cards, I thought I would split Chase into 2 sections. Today I’ll cover the best Chase Ultimate Rewards earning card and the best of the rest! The Offer: 60K Ultimate Rewards points after $5K spend in 3 months. $95 annual fee not waived the first year. The normal offer is 50K with the annual fee waived and this new temporary offer is 60K with the first year annual fee charged. Either way, the bonus is nice, but this card has a ton of long term value as well. Sometimes people have been able to get the 60K offer without a first year annual fee by going into a branch. It may be worth a try! The Offer: 2 Free nights after $1K spend in 3 months + $50 statement credit after first purchase + 5,000 points for adding an authorized user. $75 annual fee waived the first year. Deciding which of the partner program offers is best is a tough decision. Chase recently upped the bonus on the British Airways Visa Signature to 100K and the Southwest 50K offers are public again just in time to setup for a companion pass. With that said, this version of the Hyatt Visa Signature comes with too many goodies to pass up. You get 2 free nights at any Hyatt worldwide, a $50 statement credit and 5,000 points for adding an authorized user. My family is using our nights next month at the Andaz Maui which gets us a value of over $800. Add in the points and credit and we are close to $1,000 just from one bonus! So there you have it. A number of great offers across the six “major” banks. I did leave out a couple of banks including Capital One since they run credit from all three bureaus. If I left out any other major banks it is because they have too few products. Feel free to express your thoughts in the comments. Am I wrong? What do you think the best offers are? Previous articleGiftCards.com Free Shipping on Visa Gift Cards – Today Only! Next articleHuge eBay Gift Card Sale – 18 Cards on Sale Plus Earn 8% + 3X + 5X in Rewards! Nice run-down. Can’t really argue with any of them. I think I’d lean towards the FlexPerks from US Bank, unless maybe you travel to places where Club Carlson is useful. 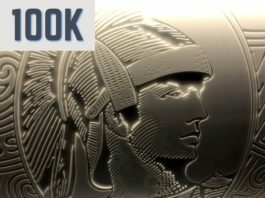 On Amex, I still like the Ameriprise Platinum, even if the 25k sign-up is no longer available. But good list. The way I look at it, in a perfect world the most value you can get from the Flexperks bonus in a perfect world is $425, but most people won’t get that. I could easily see getting much more value out of the Club Carlson card plus it gives elite status. For those who want to learn about Flexperks and how to maximize it is a good program, but I think it is much to niche for most people. surprised you didnt go with the ba 100k offer for chase. While I think it is a great offer, having to spend $20K and the non-waived annual fee put it a rung below the Chase Ink. My idea with this post was to pick the best offer for the vast majority of people. Since Chase Ink gives 60K and opens up so many earning and transfer possibilities, I ultimately think it is a better offer. Thanks for the mini reviews. Question: Do you have any personal experience about BoA Alaska Airlines $100 statement credit? I called BoA and was told the $100 deal was not shown in my account. I told her how I saw the offer (i.e. on the AS website / Payment page). She said “Then, you should get it.” I begin to wonder if I’d ever see this $100 statement credit! Yes I have received it several times. Almost always, I received a letter in the mail within a month of opening the account reminding me to spend the money to receive the credit. Perhaps you could send them a secure message so that everything you are told is in writing. I think the Bank of America Travel Rewards Visa is a great card especially now with the 20,000 points at signup. It’s no fee, has no foreign transaction fees and if you are a Top Tier Preferred Rewards customer with B of A you get 2.625 points per dollar. I just booked a short trip to Europe through the B of A Travel Center so in a couple of days I should know how many bonus points I will receive for this. Have read that it could be well in excess of 4. The card doesn’t give you access to miles per se, but lets you credit out travel expenses which is a pretty darn good deal. It is definitely a very good offer and one to consider, especially if you have money at BofA and get the earning rate up. Hey Shawn, when do you think the SPG 30k is coming back? I dont know their historical promo cycles, but this year and FY16 Q1 will look very different as their marketing team will go “All In” for customer retention/acquisition. So I was wondering if you thought it may be back. Maybe even SPG 50k!? Wow! It usually only comes once a year in the Summer. I wouldn’t expect it to return until the middle of 2016. Thanks for the response man! As long as it comes back and I wont be sad I missed this round! Thank you for the reviews and insight. I am planning trips to the Philippines. It looks like maybe the Alaska Airlines card and Cathay Pacific may be something to consider?